On January 31st, 2019, Hill’s Science Diet notified clients and veterinary hospitals of a voluntary recall by Hill’s Pet Nutrition for 14 prescription diets and 11 regular diets due to potentially elevated levels of Vitamin D caused by a supplier error. Hill’s notes that in most cases where a patient has been affected by one of the listed diets, a complete recovery is expected after discontinuation of feeding. The affected diets include only canned canine products, which likely would have been purchased between September of 2018 and January of 2019. If you purchased one of the potentially affected diets during this time period we have attempted to contact you via email or phone that you might check the Lot number on your diet products. Appendix A: diets which have been voluntarily recalled due to potentially elevated levels of Vitamin D.
Appendix B: diets which do not pose a safety risk to healthy pets, but which Hill’s has also voluntarily recalled due to potential levels of Vitamin D which do not meet their product specifications. Diet type and lot numbers are listed in these appendix items so that you may check any prescription diets you currently have in your home. If you are having trouble confirming lot numbers on a diet product, please contact our practice manager Elijah Nelson at elijah@marionanimalhospital,com, or at 800-279-6724. If you have one of the recalled diet lots, it can be returned or exchanged at our hospital, or you can contact Hill’s Science Diet directly at customerservice@hillspet.com for instructions on returning products directly via UPS. Hill’s Science Diet has also released the following FAQ to address any questions or concerns clients may have which have not already been answered. foods. No dry foods, cat foods or treats are affected. affected canned dog food products. No dry foods, cat foods nor treats are affected. Vitamin D. At Hill’s, our primary concern is pet health and safety and we are recalling these products. these symptoms, should contact their veterinarian. 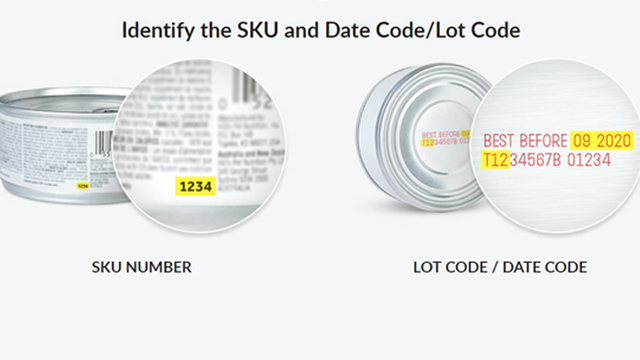 feeding and return unopened product to your retailer for a refund. diarrhea, stops eating, increased thirst, increased urination and joint issues. amounts over a period of time, can result in excess absorption of calcium from the skeleton and food. addition to our existing safety processes, we are adding our own further testing of incoming ingredients. product contained elevated levels of vitamin D due to a supplier error. deeply about all pets and are committed to providing pet parents safe and high quality products. D you should also call your veterinarian. 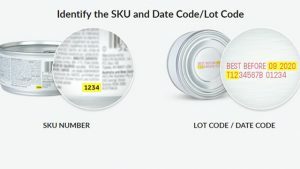 cans to verify the date codes? increased thirst, increased urination, excessive drooling, weight loss and joint issues. rely solely on dietary sources for vitamin D. Therefore pet food is often enriched with vitamin D.
included in the voluntary recall list? this does not happen again. cases after our public notice.